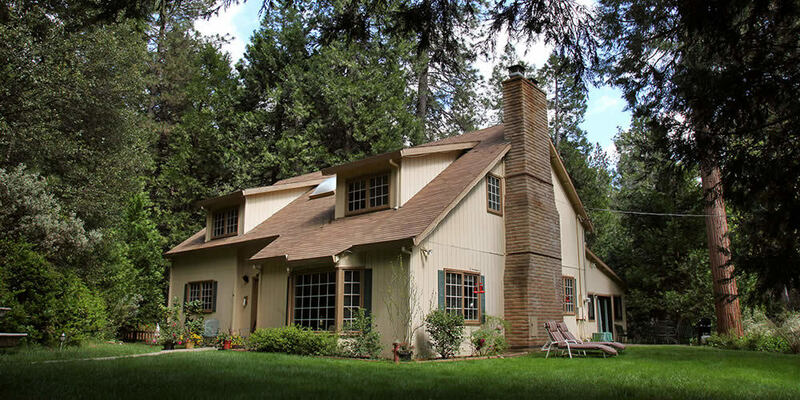 The Highland House Inn is a cozy retreat, located in a sunny glade on ten private acres in the Sierra National Forest. 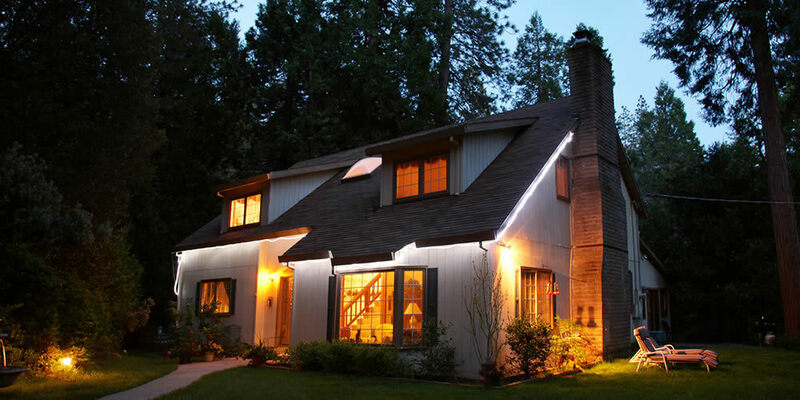 Discover the beauty and seclusion of the High Sierra in Mariposa County just minutes away from Yosemite National Park and other local highlights. Select from one of our three luxurious guest accommodations for a good night’s rest. Make yourself at home. When you awake you’ll enjoy a bountiful and unforgettable breakfast before setting off for your day of relaxation or adventure. 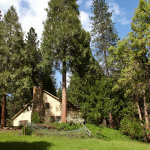 Forest Retreat with its massive stone fireplace is our largest and most luxurious room with Cal-King bed. 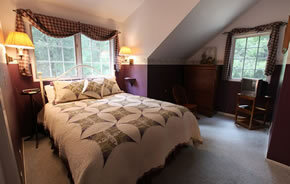 Our Morning Dove room is a quaint, cozy dormer room with a Queen bed. Free Wi-Fi wireless Internet in every room! 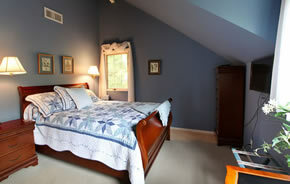 The Vacation Rental has two bedrooms downstairs and a bedroom and loft upstairs. Downstairs, there are two full bathrooms. 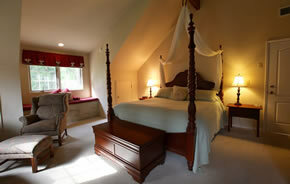 Bedroom 1 has a queen bed and spacious sitting area, Bedroom 2 has a full bed and private bath. Bedroom 3 has a trundle bed and the loft has two twin size beds. Rooms have closets and chests for clothing and storage. Sleeps up to 8 people. The Vacation Rental is equipped with a kitchen, including oven, cook top, microwave, dual sink, refrigerator, pots, pans, utensils, teapot, coffee maker, toaster and much more. There is a washer and dryer in the laundry room. 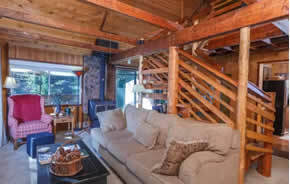 The living area has a dining area with a view of the forest and a living room with a beautiful view of bear creek and the surrounding forest. Wi-Fi and internet access is provided.